Your company is redoing its website and you’re in charge of the content. Pretty exciting, right? Then your boss tells you you’re responsible for search engine optimization (SEO), too. Suddenly, the project doesn’t seem quite so exciting anymore. You’re not a SEO guru. You don’t have years of experience with SEO. The panic sets in. Hold on! Believe it or not, whether you’re taking over, improving, or just starting your SEO strategy, the basics of SEO aren’t that hard. In fact, they’re mostly just common sense. I’m not trying to take anything away from the rock stars who have made a career around SEO expertise. We need those folks. Their expertise is incredibly valuable because there is a lot of science to SEO, and it is constantly changing as search engines like Google continue to update their algorithms. First things first. You can’t do much without knowing what keywords your target market is using to find solutions to their problems that your company solves. This requires a little research. Step inside the shoes of the potential customer of your product or service. How would you find solutions to your problem? What would you search for in your search engine? For example, if you sell organic dog food, your potential customer is probably concerned about her dog’s health. Maybe her dog has food allergies and she’s concerned about the chemicals and byproduct in most dog foods. Start searching. What sites pop up? Look at the words used in those snippets. The key here is to use your marketing spidey sense and create engaging content that is valuable to your target market. Valuable content includes content that answers the questions that your buyers have, provides them with insights they can use, and educates them so they can be better at what they do. Within the great content you’re creating, remember to use appropriate keywords naturally. Don’t try to stuff your pages (i.e. adding keyword terms over and over again in your content, in your meta tags, in your Alt descriptions, etc) in an attempt inflate your site’s ranking. It won’t help your search ranking (in fact, it could hurt it). If search engines catch you (and they will because their bots are super smart! ), they can penalize your site by lowering your ranking or completely removing your site from their index. Plus, it won’t impress your website visitors. Who wants to read the same words over and over: “Are you looking for organic dog food? If you’re looking for organic dog food, look no further. Our organic dog food website is the best place to order your organic dog food.” Keep it real—you’re writing for a person. Be sure you don’t overlook your page URLs because they’re important for your SEO. This is where your keyword research comes in handy. For example, if a page talks about your solar financing product, then the URL for that page should be products/solar-financing. Focus on the most common and most searched appropriate keywords. 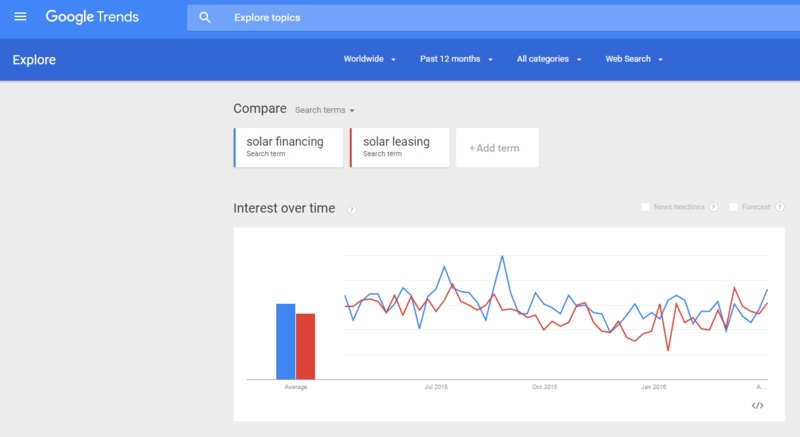 If you are trying to decide between “solar financing” and “solar leasing,” choose the one with the highest search ranking. There are a couple quick and easy (and free) ways to check search ranking. One is to use Google AdWords Keyword Planner. Simply enter your keywords to get an idea of how popular they have been historically in terms of search volume. You can also use Google Trends, which is a truly fun site to explore. Compare different keywords to see a quick graphical comparison of interest over time. Now that you’ve created high quality content that your target market needs (and wants) and have attention-grabbing headlines to engage them and encourage them to read further, go back and review everything you wrote. In your review, look for additional places where you can naturally place keywords. Can you switch a sentence around to include a keyword? For example, on a page about marketing automation, “Identify the best customers and convert more” could be changed to “Marketing automation helps you identify the best customers and convert more.” Also, consider whether you can create a keyword phrase by adding a word in front of a keyword? If I have a sentence talking about “marketing campaigns” and “marketing automation” is a keyword for my page, I would add “automated” to “marketing campaigns.” Do several review passes. You may be surprised at what opportunities you miss the first, and even the second time, around. This is beyond website content, but good user experience is becoming more and more important in strong SEO rankings. 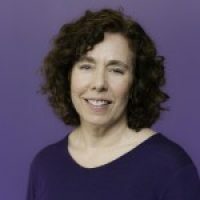 According to Robert Berris in his blog Three UX Principles That Help Your Website Do Its Job Right, “During the last two years, Google has evolved to place much higher emphasis on sites that deliver quality user experiences across platforms and devices. Though traditional ranking factors are still king, search engine optimization is increasingly becoming user optimization.” So, work with your web developers to be sure that your website is easy and intuitive to navigate and that each link works and takes your visitors to the next bit of information they’re looking for. As I said earlier, basic SEO is mostly common sense. However, if you can afford it, it is wise to hire a SEO expert to ensure your site is truly optimized. A SEO consultant or agency can audit your site and look at how it is performing against your most important keywords. They will provide you with a prioritized list of action items to help you take your site to the next level. Here’s the great news: You don’t have to have to be a SEO wizard to make sure your website is well positioned for organic search engine traffic. Simply use your common sense and the seven simple tips outlined above. Do you have any additional tips for building SEO into websites? I’d love to hear about them in the comments section below!